Both workers and consumers are at risk, therefore use of all forms of asbestos products must be stopped with immediate effect. To begin with let us make our President's House, Parliament, Supreme Court, State Assemblies and houses of our legislators asbestos free. 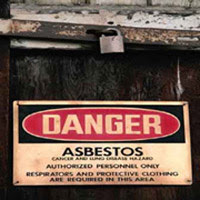 Recently asbestos use has become quite controversial. Governments are divided into two parts-one supporting public health and the other supporting the interest of the asbestos industry. 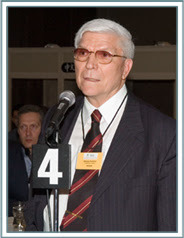 An unprecedented environmental and occupational health crisis with regard to unnoticed asbestos epidemic in our country is on the horizon. It is high time concerned authorities took note of exposures of workers installing and maintaining asbestos-cement pipe and asbestos cement roof, which is quite high. It calls for immediate remedial measures. As per the survey of U.P. Asbestos Limited, Mohanlalganj, Lucknow and Allied Nippn Pvt Ltd, Gaziabad, (U.P), the lung function impairment was found to be higher in subjects exposed to asbestos. 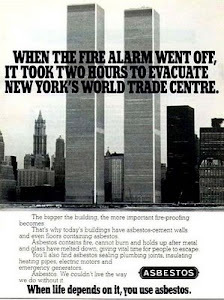 This was the result of a Central Pollution Control Board sponsored project entitled "Human risk assessment studies in asbestos industries in India". This has been reported in the (2001-2002) Annual Report of Industrial Toxicological Research Centre, Lucknow. It has also been published in the 139th Report of the Parliamentary Standing Committee on Environment, Forests, Science and Technology and presented to the parliament on 17th March, 2005. 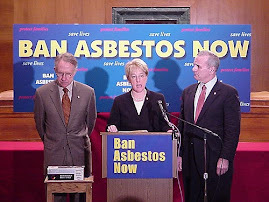 Some 45 countries besides World Trade Organisation have realized that “safe and controlled use” of asbestos is not possible and consequently have banned asbestos because of the incurable but preventable cancer caused by this killer fiber. (find attached a note on India scenario) Given the ubiquitous presence of the fiber, there is no alternative to getting it banned in right earnest. 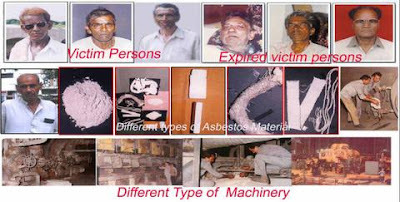 Ban Asbestos Network of India (BANI), an alliance of scientists, doctors, public health researchers, trade unions, activists and civil society groups is working to persuade the Governments to give up its consistent and continued pro-asbestos industry bias and lack of concern for asbestos-injured who die one of the most painful deaths imaginable. 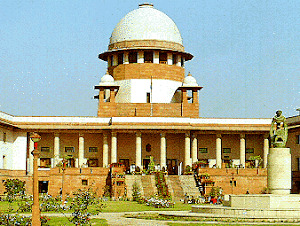 Although the Supreme Court of India has ruled that the Government of India must comply with ILO resolutions, so far the ILO resolution (June 14,2006) stating “the elimination of the future use of asbestos and the identification and proper management of asbestos currently in place are the most effective means to protect workers from asbestos exposures and to prevent future asbestos-related disease and deaths” has not been acted upon. Immediate steps to ensure that there is no more exposures take place from now on.